This Eastern Box Turtle (Terrapene carolina) is a little shy. Unlike other land turtles, box turtles have the unique ability to close their shells completely because of a hinged shell. They have a wide range from the northeast through the mid-west and south. Box turtles are extremely long lived – often living over 50 years. As a result, they are slow to mature and reproduce. 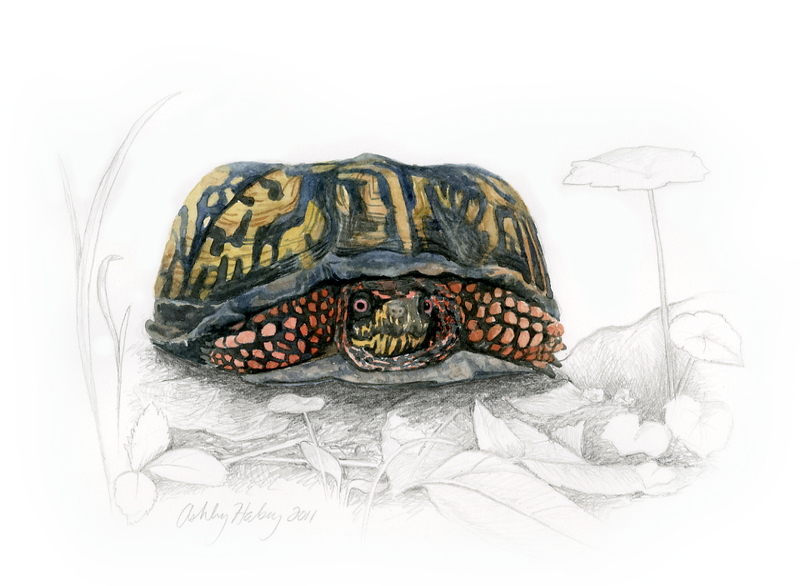 Habitat destruction and fragmentation threatens the box turtle today. They can be found in any number of habitats, but generally they stick with moist forest floors and open pastures. Prints of this work are available for purchase on Etsy. When are you going to do a post about the domestic goat?